As a famous art critic B.N. 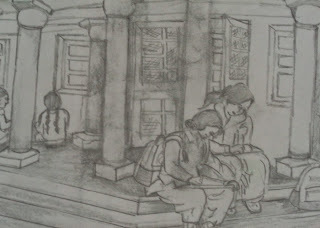 Goswamy quotes, “Art is full of wonders and it is the right time to discover these wonders”. Every person has questions which are crux of life. The questions which a painter has in his mind and which he tries to answer through his paintings reflect the sense of wonders of painter itself. 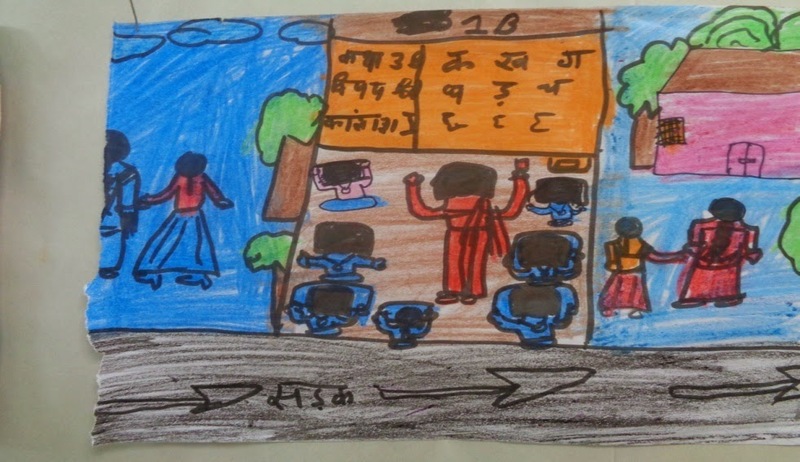 In today’s scenario, education has a bent over subjects like languages and facts but what about art? In many institutions across the country, art is not given the importance especially in the development of the child. 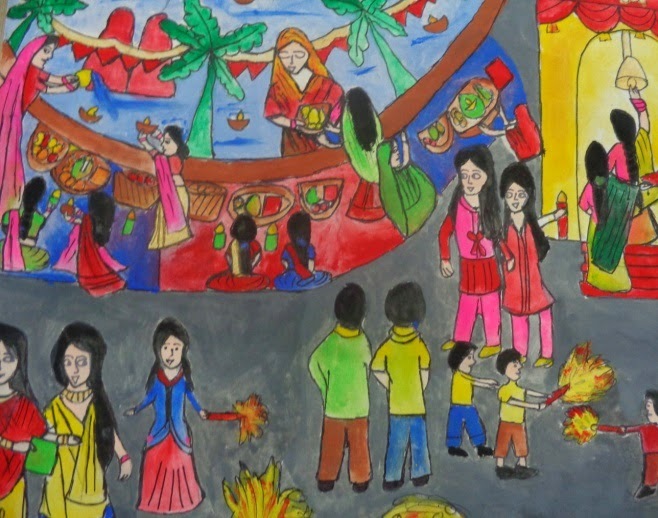 A three day exhibition held in Lalit Mandir at Banasthali Vidyapith showcased the work of child artists. 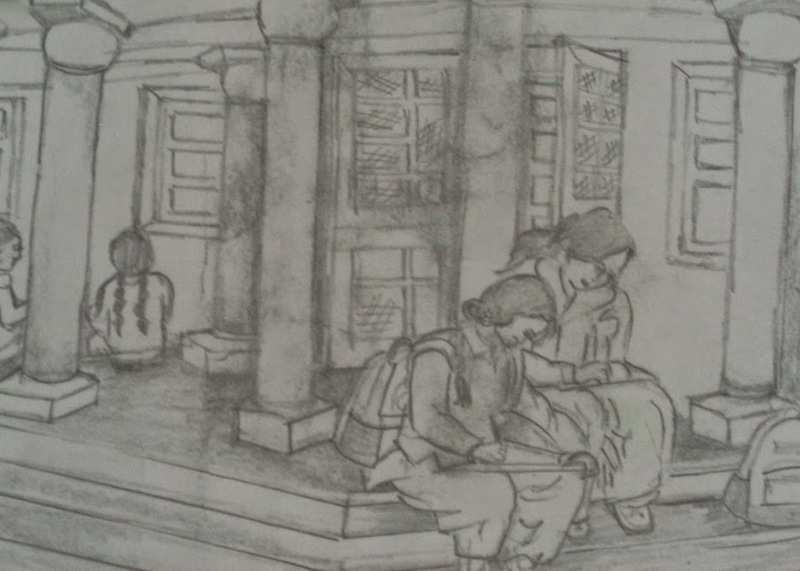 These were students of different classes at elementary level studying at Banasthali Vidyapith. 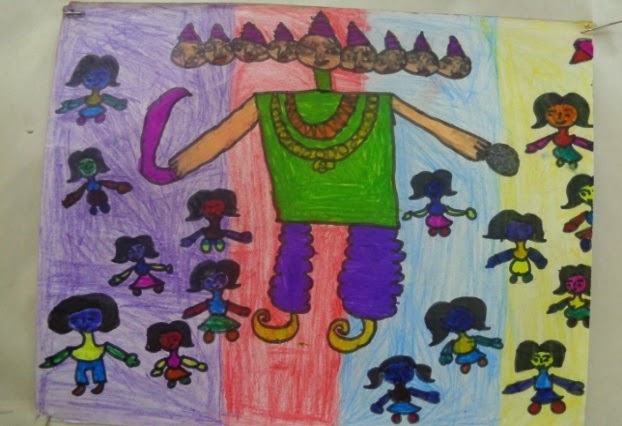 The themes of these students varied according to their age and also according to their mental process. 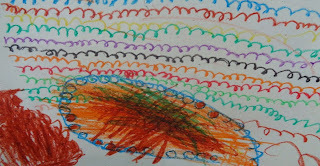 Some of the kids liked only to play with color, as they scribbled different crayons on the paper. One of the painting by a student seemed to me as she took her destructive elements out on paper and took me to the theory by Melanie Klein which was further explained by W.R.D Fairbairn that the destructive element of an artist can be taken out through the work of art and it can be restituted through it only. As in history, from starting we are able to notice that art has always been shifting its place from analogus to digital or the vice versa and in the same child art has always being shifting its place from analogus to digital or the vice versa. 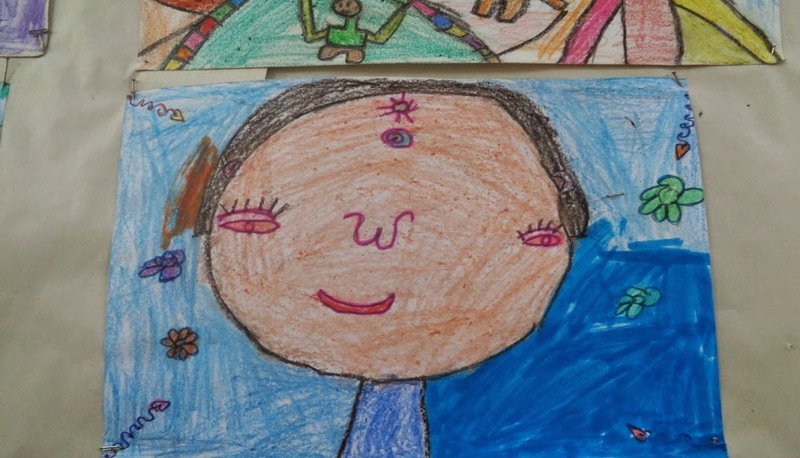 In one of the portraits made by a child, digital form is clearly seen in it as the portrait is totally in an abstraction form. It can also be related to the Freud’s study of unconsciousness and dreams, as it can be meant that what child observes in his dreams or with his experiences, he portrays the same art .It could be thought that child visualizes the same portrait and draws it. By looking closely at drawings we can get a powerful insight into the thoughts, ideas and processes that artists explore in their works. There are many drawings with similar themes but every artist has portrayed it in his own manner. 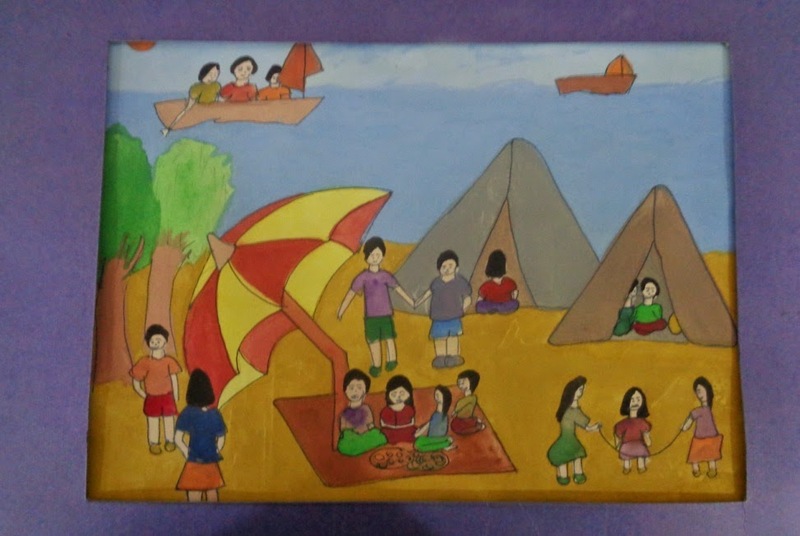 For instance the subject matter of picnic scene, every student has tried to express his own feelings and experience in this subject matter. 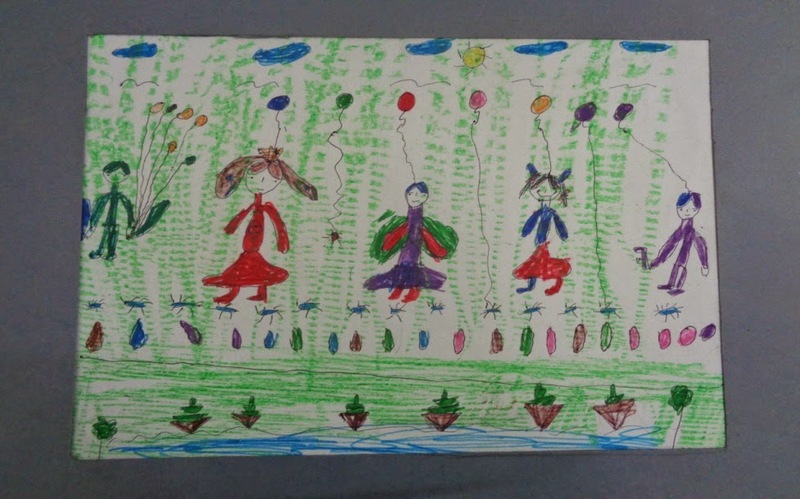 One of them have painted it as girls holding balloons and playing in the park, while other one has shown girls playing in park with decorative dresses own and beautiful birds around. The third one has shown it as a family of a mother and two kids in a park, in which mother is opening the lunch boxes which she might have prepared at home for the picnic and the kids are playing. 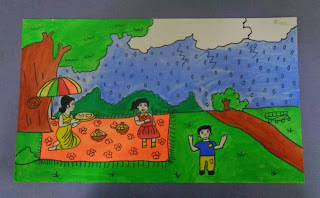 The season is shown raining and mother is under the umbrella and the kids are enjoying the rain. In the fourth painting by a student, the picnic scene is shown on a beach and in this painting three to four families are enjoying the picnic. Kids are playing while their parents are having gala time talking to each other, even there are tents on the beach side in which children are playing and also people are shown boating. These painting show the existence of the artist itself that means if artist is not depended on anything and expresses what he feels. On viewing these paintings what I felt was a state of bliss and a joy ran over me as it gave me a sense of deep thinking that a similar subject matter can cause different effect on each and every person and what these students as child artist expressed them was a mesmerizing feeling for me. This was a visual aesthetic experience for me. This experience hold me in front of the paintings for quite a time and slowly it kept decreasing and then as Newman said, I realized that this aesthetic experience was temporarily and slowly it decreased but when that state of bliss occurred there was nothing that could have kept me aside these paintings. There was an other series of painting which gave me a mesmerizing feel. These paintings were also made by different artist but on a similar subject matter. The subject matter in this case was school girls and school life. Everyone projected it in a different manner but the two drawings that I was glazed at. 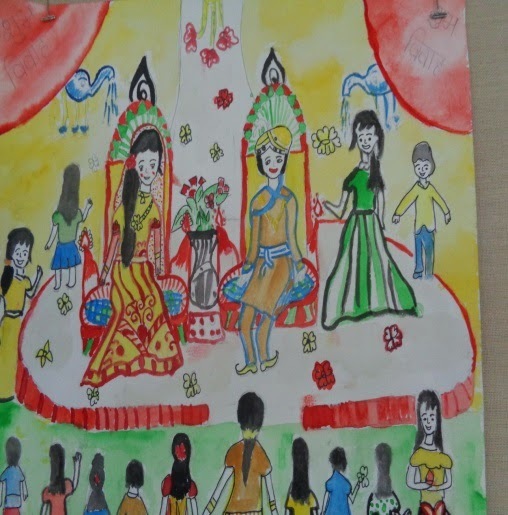 These painting showcased the students totally in different manner from each other. 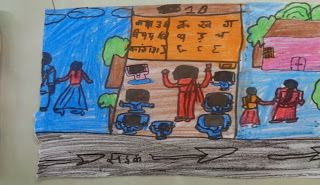 One showed a view of a classroom from a backside of the students as teacher was taking a class. 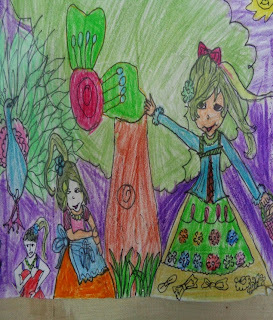 The student though did not make an accurate realistic painting but her vision was as clear as from what angle she had to coordinate her painting. She gave a depth and showed her classroom in perfect perspective. 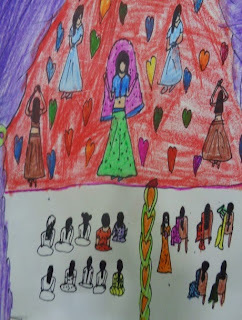 The other student showcased girls sitting outside the school on the stairs. She showcased the painting in perfect and also her perspective was amazing. She painted an upper and lower view from such an angle that it took my eyes as soon I crossed it. The background and foreground was perfectly painted. 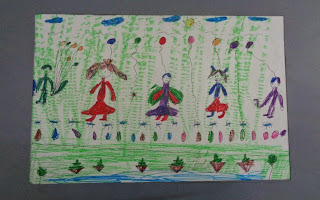 The other paintings of the students were amazing and gave a soothing effect to the exhibition. The art work show that students are so alert with the happening around themselves and they are keen to get those happenings on the paper, and in this context it is highly recommended to all the schools to have a serious art classes for the development of children.